That's Anna, after I put a little lipstick on her lips. She is a beauty, isn't she? I didn't even say, "Try to look funny." but it was one we'd never been to before. It's the one on the corner of Kimball and 114 in Southlake. Andrew said it's now his favorite McDonald's. have an older sister who is losing her teeth!!! 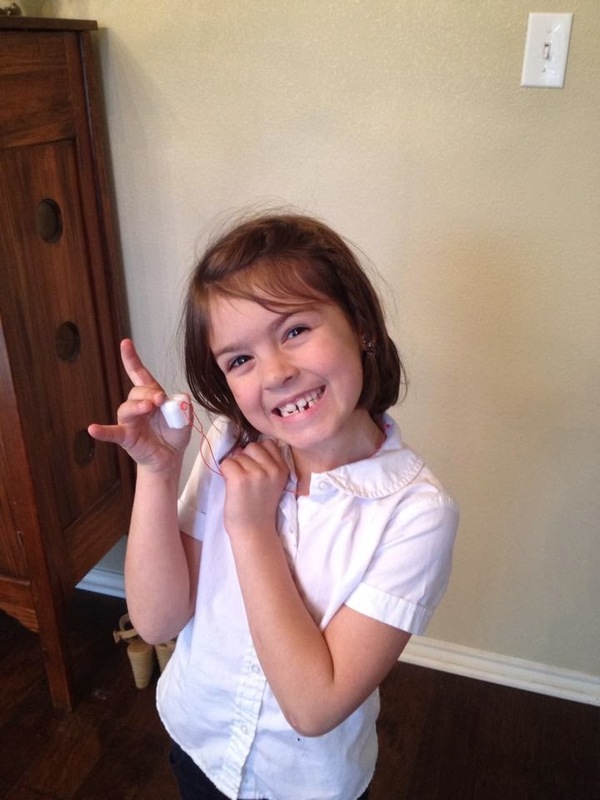 Caroline lost her sixth tooth last week at school!! that holds the tooth she lost. or whenever it was that I was losing my back teeth. I woke up one morning, after going to bed with a really loose back tooth. That next morning I felt it floating freely around my mouth. and it wasn't the tooth! 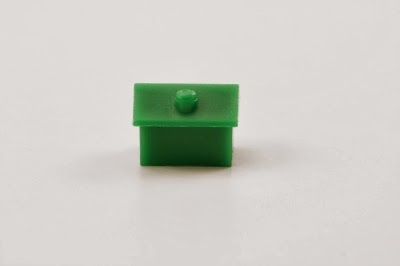 It was a green little house from our MONOPOLY game! I have never figured that out. that you've never figured out? I'd love to know about it.